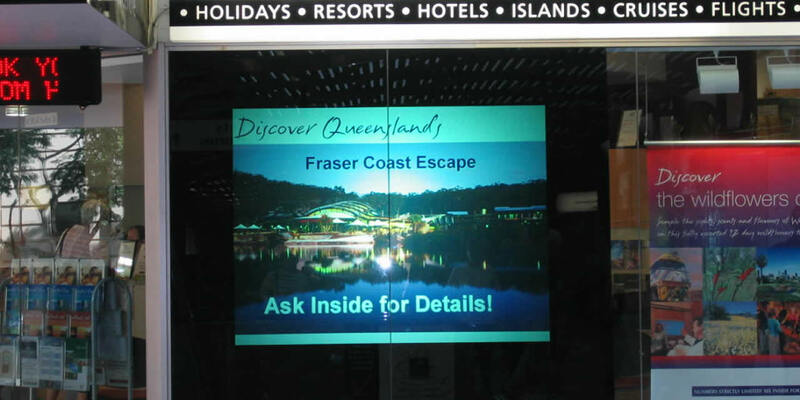 On glass projection film provide a wow-factor greater than any other digital signage solutions. Command's range of advanced projection film will give you a solution suitable for your projects. Light grey film 1524mm wide, high contrast, beautiful colours, ideal for shopfronts with awnings, displays, trade shows and internal use. Best viewing angle of all films, generally 180°. White film 1524mm wide, ideal for internal use or well shaded shop fronts. Gives crisp whites, stunning colours, and excellent viewing angle. 90% transparent film 1524mm wide. Ideal for windows where transparency is required when the image is turned off. Lovely colours but viewing angle may diminish with higher ambient light. Transfilm is ideal for night use and has an amazing “wow” factor. Mirrorfilm provides the best quality image you will see from any competing projection film. The projection image quality Mirrorfilm projection film is of the same quality as a rear projection. Mirrorfilm uses the above Grey or White film, with an added Mirror layer of film. This creates a double sided image giving you double the Bang For Your Bucks. The image quality is very close to the same on both sides of the film. Of course, one of the sides is reversed, but with smart graphics and movie files you can use this to your advantage. 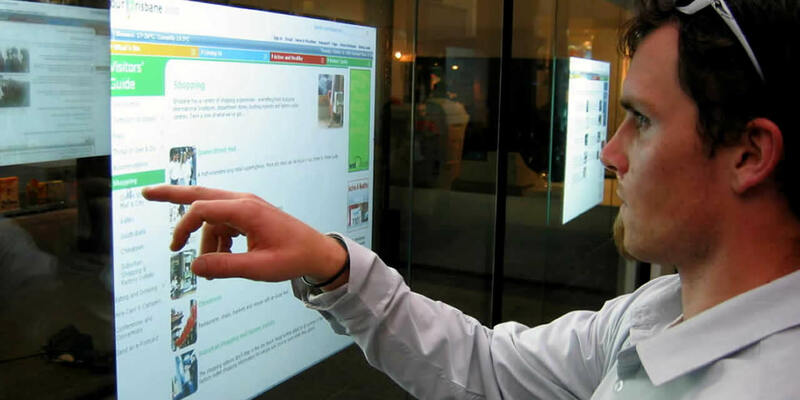 Our projection films can be used with the interactive Touch Foil providing a new user experience with on-glass touch allowing customers to browse through a multimedia presentation. 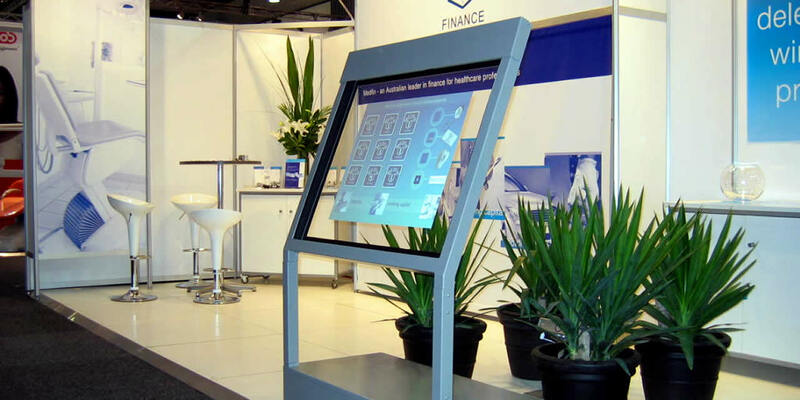 The system can be stand-alone interactive or combined with digital signage for the full experience. For more details, select here. 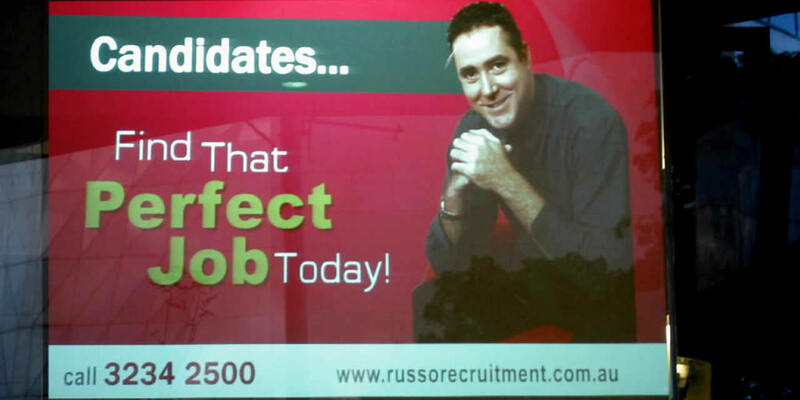 For any questions about how a Command Digital Signage System would be suitable for your business or to arrange a time for an on-site or on-line demonstration, please contact us on 1300 780 204 or through our enquiry form. Our most versatile and successful film. Greyfilm has an excellent viewing angle and a high-contrast image. Designed to be suitable for a variety of locations, retail or corporate,, Greyfilm will provide a high-contrast image in the most trying conditions. Greyfilm has multiple optical coatings that help in the elimination of any ambient light effects. Combined with the right projector, Greyfilm creates a stunning image. Greyfilm is available in sizes up to 100" (4:3 ratio) and 110" (16:9 ratio) and can be joined if required. The most important element of projected images is the faithfull reproduction of the image from the source. To achieve this we need to think about the appearance of colour,especially snow white/real white. Whitefilm film can produce snow white,clear blue sky and natural fresh colours. With a wide viewing angle,high brightness and real/natural colour reproduction, Whitefilm rear projection film will give you the image to attract an audience. Whitefilm is1524mm wide and available in up to 10m lengths. 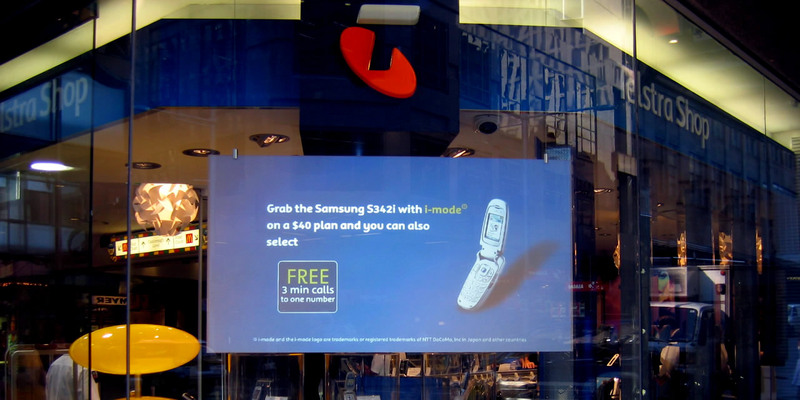 Used in almost any location, Transfilm can change a shopfront into a live presentation of your products or a stunning entry feature to any corporate foyer. Transfilm is the newest in display technologies - a semi-transparent film surface used for rear projection and holographic effects. There are no pixels, grids or distracting seams that decrease image quality and you can place the projector at any angles while still achieving maximum performance. Transfilm gives you unprecedented flexibility in design and uniqueness in visual presentations. 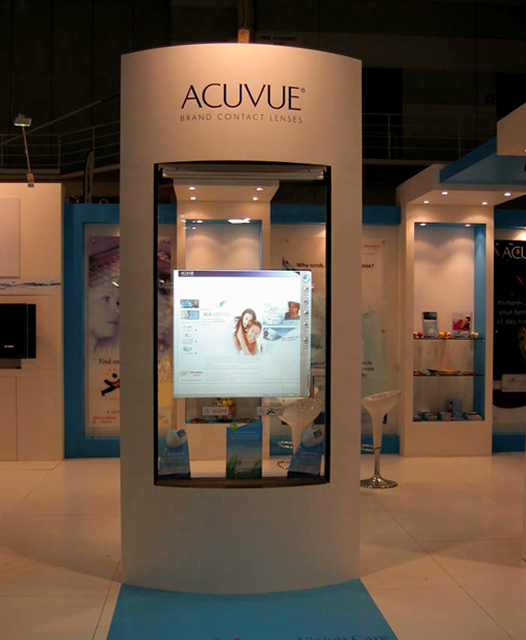 The Transfilm Rear Projection Display is the ultimate in transparent projection technology. Transfilm is designed for all installations where image quality and see-through design are necessary to display a powerful image for your organisation and impress your customers. Transfilm comes as a flexible film and is easily applied to glass or acrylic to make a rigid application. Ranging from 20” to 110” diagonal with custom sizes available, Transfilm can make you stand out so you can be sure your message is remembered. 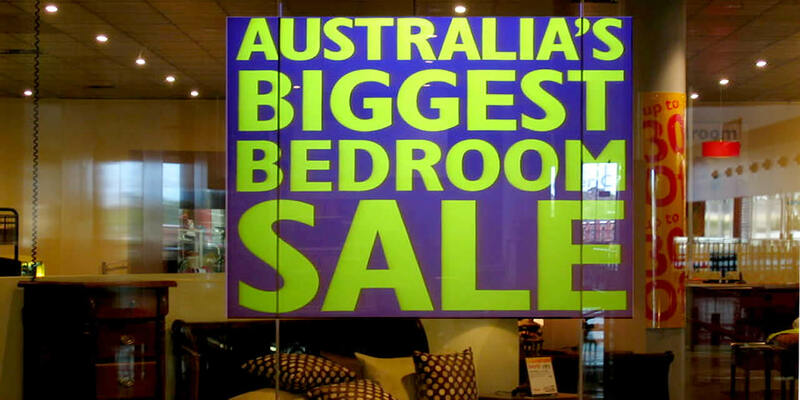 Transfilm is completely seamless up to 110” diagonal, allowing you to build even larger eye-catching displays. No complex projection angles have to be calculated with TransVu. You can project at any angle and still get a vibrant image. 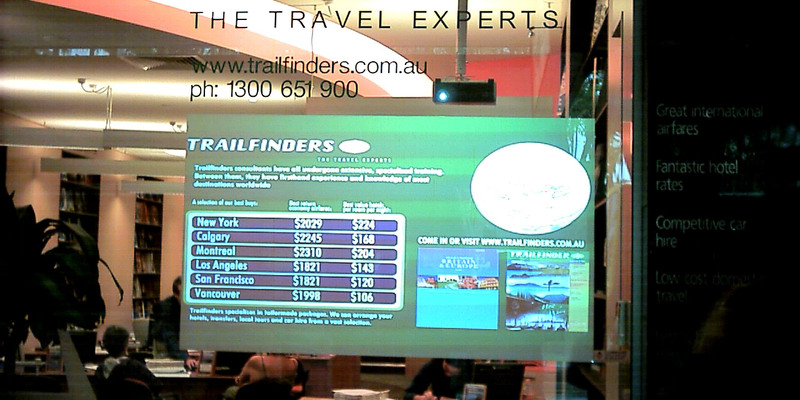 Transfilm gives a stunning display enhancing any location and provides a new medium to entice the passing trade. The Mirrorfilm projection film enables a projection image on both sides of the screen. Mirrorfilm produces the image with almost the same quality on both sides, doubling the viewing audience capacity. As you would expect, one of the images is a reverse of the other. However, with clever graphics including rotating text, the image is effective on both sides. Alternatively MirrorVu can be wall mounted and used for front projection. The film is available up to 1000" (4:3 aspect ratio) or 110" (16:9 aspect ratio) without any seams. The screen format and form can be freely designed as a circle or any polygon. The film can be installed on glass or acrylic. The Mirrofilm projection film displays a quality of image only seen with rear projection films. 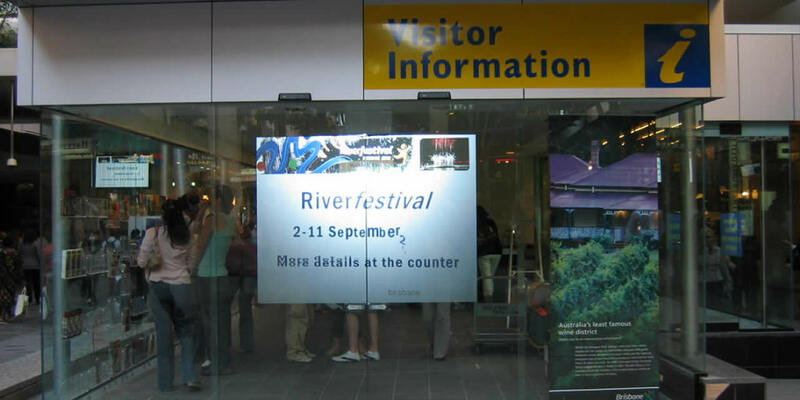 Mirrorfilm uses either the Greyfilm or Whitefilm with a second layer of Mirror Film to provide a high quality Front Projection display. Mirrorfilm is supplied as either a film or a panel. The film can be applied to glass partitions or glass/acrylic walls. The film is available up to 100" (4:3 aspect ratio) or 110" (16:9 aspect ratio) without any seams. Ideal for boardrooms where the best quality front projection is required. Film can be applied direct to glass or acrylic windows or to acrylic panels. Panels can include acrylic clamps with stainless steel cable or pre-drilled holes with stainless steel cable. Desk mounts for portability are available on request . Films larger than the available width are made by using multiple pieces of film. Films are all 1524mm wide and availble in roll lengths up to 10 metres. Other sizes and shapes available on request.